Sarah Chilton is a Partner specialising in partnership and employment law. She is qualified to practice in England & Wales, in Scotland and in Ireland and has represented clients in both the English and Scottish Courts. Sarah advises partners, partnerships, LLP members and LLPs on a wide range of issues. She has extensive experience advising in relation to partner investigations and disciplinary matters including allegations of misconduct and sexual harassment, often engaging both regulatory and criminal issues and with the possibility of expulsion. She frequently assembles, and works with, multi-disciplinary teams including other specialist advisers on these matters. She advises regularly on expulsion; rights in relation to discretionary decision making; partner exits; remuneration structures and disputes; breach of duties; restrictive covenants; team moves and dissolution of partnerships. Much of her work involves contentious partnership and LLP matters, acting for individuals and firms, and her work frequently involves cross-border partnership matters engaging multiple jurisdictions. As an employment and partnership lawyer she has particular expertise in the cross-over of these disciplines which arise in relation to whistleblowing, discrimination and harassment issues as they relate to partners and LLP members. Sarah has an excellent reputation for providing pragmatic legal advice to employers and senior executives on a wide range of issues. She has particular expertise advising in relation to business protection issues, including post termination restrictive covenants and protection of confidential information – drafting, defending and enforcing provisions – for employers and executives. She also advises on remuneration structures and issues arising in relation to deferred remuneration and incentive plans, in particular representing senior executives in relation to these rights, and disputes arising from these rights. She provides advice on whistleblowing issues, in particular within the financial services sector, and discrimination and harassment issues for senior executives. Advising employers, she regularly advises on issues around business reorganisation and redundancy, conduct and performance issues, whistleblowing and discrimination. 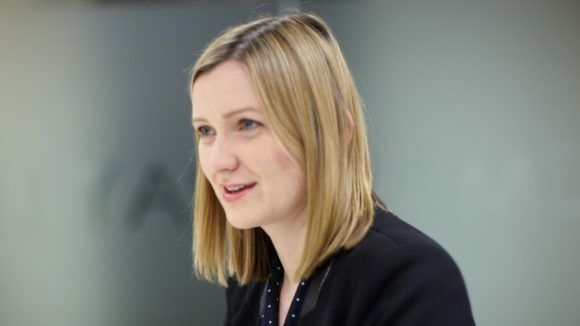 Sarah is often instructed in relation to confidential and sensitive matters including in relation to the exit of senior executives and partners for both employer, firm and the senior individual. Sarah has a particular interest in advising clients in the legal and professional and financial services sectors advising law firms, their partners, fund managers, partners and firms. In the financial services sector she has particular experience of issues arising when someone joins or leaves a fund or financial institution, remuneration structures (including incentive arrangements and carried interest and good leaver/bad leaver provisions), and post termination restrictions. Sarah regularly advises on cross-border issues involving multiple jurisdictions including the US, Russia, the Middle East and Europe and the Scottish law implications relating to funds using Scottish partnerships structures. Where litigation is necessary she is experienced at representing clients in the Employment Tribunal and High Court (and equivalent Scottish Courts) and has conducted her own advocacy. Sarah is recognised as being a “tough yet pragmatic opponent”. Sarah has extensive experience in advising on English and Scottish partnership and employment law issues.